To me, it seems as the facilities on LV-223 is the centre around which all this evolves? What happened there? How many facilities were there on LV-223? What kind of experiments did they do? Did they create the pathogen/mutagen there? 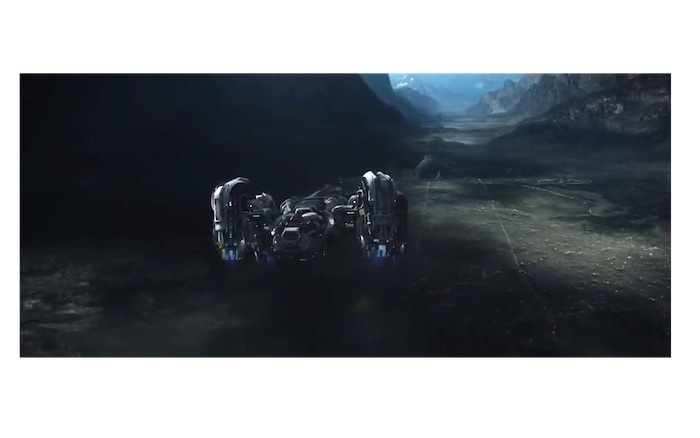 Which of the facilities did the Prometheus crew enter? What was in the other facilities? How old were they? Did some engineers set out from Planet 4 long ago to build them, or did they come from some other part of the galaxy? What was the mural all about? Will we return there in Alien: Awakening? If they were super secret weapons manufacturing plants...Why are they in plain sight? Why not buried deep underground where the prying eyes of space travelers or spy satellites can't pick them out?! I mean, Voyager 2 would have spotted these tombs from a fly over! Or they didn't care about being seen...they are the top of the food chain....and cave people on Earth might never get into space. And why tell the people of Earth about THIS place?! These are very interesting questions, i have covered these before but its nice to re-cap, especially in light of how Alien Covenant could give us a new way to look at them, but to me AC just kind of for me backed up what i always saw this place as. I think we need to look at Prometheus and what this movie showed us, as if we take a look at earlier drafts then a few things appeared different. 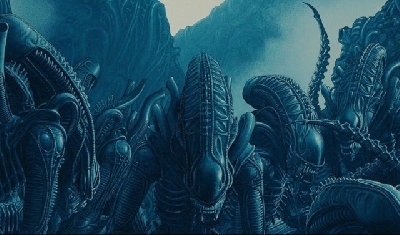 Thus Alien Engineers had shown us that indeed these Engineers had been some kind of Military/Scientific Bio-Weapons Division, where they had been creating various kinds of Organism related to the Xenomorph, no less than perhaps 7-8 different variations. In Prometheus we saw that there was at least a total of 5 of these Complexes and so its always something to Ponder if each of these was a different Facility to be conducting slightly different experiments and thus maybe each of the 5 Complexes each had a slightly different variation of the Black Goo, from which they had been conducting 5 different experiments on Xenomorph related Organisms? Or maybe Each Temple is dedicated towards a single Race, as the Fire and Stone comics introduced us to the Predator Hunting some Large 4 Armed Humanoid Race, who also had Cave Maps to the LV-223 System... this would maybe be teasing us that the Engineers had left these Maps to many various kinds of Humanoids they had seeded. This however does then imply the potential that Each Complex is meant for a different Race, which means thus the Prometheus not only by Pot Luck found that Valley but also the First Temple by Pot Luck was the one intended for Mankind. *Each Complex is maybe for Each Race the Engineers have created, but i feel they would have created many more Races than those Temples, but who knows how many Complexes are on that World. *Each Complex they have a slightly different form of Bio-Weapon they was working on. Indeed we could also look at these places being purely a Military Weapons Facility and this indeed is hinted at with Janeks Dialog, and the place did have that Military Outpost look and feel to it and Ridley Scott had referred to the Ships as Bio-Logical Bombers. 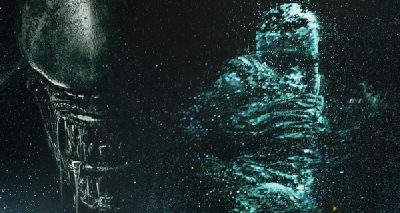 Which could suggest maybe each Complex has a different form of the Bio-Weapon, but if this is the case then the Black Goo David used would not have been 100% the same as the one in Prometheus as it appeared Dr Shaw had taken Davids Body towards another Complex to obtain a Juggernaught. As far as the Age goes, well we have to ask why would this place have been depicted on Cave Paintings some 35'000 years ago and so i think we can safely assume these complexes had been around for longer than 35'000 years ago. Here comes the Problem with this... if this place was never active 35'000 years ago then why would the Engineers (we assume) had left clues/maps to this place many thousands of years before it was a Bio-Weapons Facility? Did they create these Weapons for longer than a few THOUSAND years? Then just waited like 32'000+ years (at least) before they decided to use them? Was it because of how we Evolved and Changed? or did we have to reach a certain level/population before they could use the Bio-Weapon. A lot depends on the simply Question "WHY and WHAT Purpose" this was something a Prometheus Sequel looked set up to Answer for us, David had said "To Create, One must First Destroy"
So this leaves us asking did the Engineers Create or Evolve us to simply wait a Period of Time before we are then to be used for the Black Goo, to Create Something Else? If we was simply a Harvest then why wait 30'000 years or so? i guess for the Population to Rise, but then if we was to be used to simply Procreate to a Level when there are the Right Number of Viable Hosts to be Evolved by the Black Goo, then did the Engineers really need to Evolve us to the Level Mankind was 5000 years ago? We could have been kept as more simplistic Mankind, more evolved than Cave-Men but not as Evolved as say the Mesopotamia civilizations, because then we could have been allowed to Breed over and over but kept in Wooden Huts and in Caves still until we populated enough to then be the quantity needed to be used for the Black Goo to Evolve us to what ever the Engineers intended. If this place had these Bio-Weapons all that long (35'000 years) then its even more strange how it got out of hand 2000 years ago. WHY did the Outbreak Happen 2000 years ago and WHY could they not contain it... is again ANOTHER QUESTION that we surely could have needed answers for in a Sequel to Prometheus. *A accidental Spillage, but then what Safe-guards are there? We have to also ask what was the Space Jockey Suits for? And had they ever suffered a Outbreak/Accident before 2000 years ago? If so surely they would have learned from their mistakes? I find it hard to believe they dabbled with this stuff for many many THOUSANDS of years and only Had One Outbreak/Contamination that Finished them? *Evolution of Experiments, had they been conducting different experiments until at latter stages they created something more hostile and harder to contain? 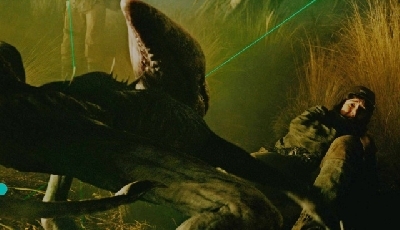 But some clues on LV-223 to me do-not suggest mass Xeno/Deacon like Outbreaks. *Sabotage which ever reason or point where these Engineers had decided to use this Bio-Weapon on Earth or Evolve/Create something Horrific with it.... was some portion of these Engineers Against the use and intention of using this Bio-Weapon on Earth.... was their some kind of Sabotage? We have to ask why did that One Engineer Survive? And how do all these Engineers get infected, when surely they should have Protective Gear and Precautions especially if they knew what they was dealing with for THOUSANDS of years... so SABOTAGE could be a very good explanation. *Intervention like above but on a grander scale, if those Engineers on LV-223 was doing something that did not sit right with other Factions of their kind, then maybe a Intervention had happened that lead to the Outbreak, this is something speculated on here a few times. Did One Faction from another Place decide to put a stop to the works of these Engineers on LV-223... to think of it Ridley Scott called them Fallen Angels, which means they were maybe more Graceful/Benevolent in the past and some may still be what we could call ANGELS. *Natural Disaster could some kind of Force of Nature had devastated the Outpost leading to a contamination, we only need to look at Fukushima in 2011 and imagine a more inland Power Station where say a Earth Quake actually happens directly near by or under a Nuclear Power-station... The Fall Out/Contamination would be Dreadful. Could something Similar had happened? We've talked about David returning to LV223 to 're-stock' his black goo supplies.....But now I realize he has the Engineers orrery data map! Probably knows EVERY single installation/city/base the Engineers have in the galaxy! Probably pick and choose the nearest base....then head off to Origae6. Also David could have gone back to Planet 4 as i am sure there are more Urns he has left down there.... if not then why not go back down to collect more Eggs etc...? You would logically assume he would go to LV-223, but then the Questions are have the company even been to LV-223 in those 10 years since Prometheus? taking a Human ship to LV-223 would risk the potential of being intercepted by the Company. There are a number of Plot Holes that need fixing..
*As of Alien 3, it appears the only thing the company can acquire related to the Xenomorph is via Impregnated Ripley, and so Logical would suggest LV-426 and LV-223 are both a Bust as far as Engineer Technology and Xenomorphs. BUT WHY? *As of Alien Covenant, we have a decimated Engineer World with experiments, Eggs and Spores all related to Xenomorph and Engineer Technology. *As of Alien Covenant, it appears David is off to Origae-6 with some Xenomorphs and surely his Agenda is to continue with his Creations. These avenues must be a Bust by the time of ALIEN or else it makes no sense for Aliens on wards. Also if the events of Davids Creation ends up on the Derelict it means one of only TWO outcomes. 2) Davids Creations end up being taken to LV-426 and placed on a crashed Engineer Ship. Option 1 is the only likely answer now.. and so its sorry for those holding out for the Ancient Space Jockey, but it looks logical the Space Jockey will be a being related or above the Engineers who is determined to put a Stop to David 8.... Destroys LV-223, but is also very intrigued in Davids Creations that they decide to keep them and this proves to be the Space Jockeys undoing. Thats a potential for a massive amount of Worlds/Outposts known by the Engineers or their creators, and worlds that have Humanoid Life. Once pleased with the results they then seed them on Earth. This is why LV-223 was Terra-formed to support Human thus Life on Earth. At some point something happened and this place was latter turned into a place where those Engineers began to experiment with Life-forms related to the Engineers. I would even think that they saw the Deacon as a form of Perfection, and a way for these beings to had be able to Create/Birth Life which they maybe lost the ability to or never had it... (AC however showed us females so this theory was prior to that). But this theory still applies... i feel LV-223 was used to create nurture and evolve Life on Earth, in a Safe Environment where only creations they deemed successful would be allowed back to Earth. The Star Maps showing us WHERE we Came from... and never a invitation because these Engineers never intended or thought we would ever evolve to what we are now... without the help of the Engineers who abandoned us. But they encountered, and experimented with something else related to the Xenomorph and the Deacon proved to be a Organism they then saw as Perfect. Then instead of using Engineers DNA to Evolve life. they saw that using the Deacons instead and this is why those Urns contained Xeno DNA... they now saw this DNA as more Perfect than their own. This explains Planet 4, because those Engineers were not afraid but welcoming the Juggernaught, until David unleashed Hell. I propose that the Juggernauts and Urns are just a Evolution to the Seeding Tear Drop Ship, where having a Engineers DNA broken down and stored in Urns to be dropped its a more Efficient way of Evolving Worlds than dropping off a Engineer to use the Sacrificial Goo. Thus time to time Juggernauts would arrive on Planet 4, that Signaled a Choosing of Sacrifices to be used to Seed worlds... these beings must see being chosen as a sign of Perfection and a great Honor, and the Juggernauts arrive... collect Sacrifices and they are Sacrificed and the broken down Material stored in Urns to Seed worlds. The Chosen Engineers are not wasted.. for them this Ritual IMMORTALIZES them not only would a New World be Evolved with their DNA but in the Plaza they would have erected Statues in that Sacrificial Engineers Honor. This is how i see all the pieces fit together... but i could be wrong. so many questions and yet so little suggestion that any answers r coming. theres a whole history there on lv223 to be explored that expanse the whole alien universe not to mention the deacon but naw, f**k that, lets make it all about a homicidal android??????? MonsterZero: Yes, the engineers were perhaps the only travellers in space (until the humans showed up)? They would therefore not need to hide the facilities - just isolate them from their homeworld(s) in case something went wrong (which it did)? BigDave: Many interesting possibilities. Yes, there seem to be 4 or 5 facilities (at least) on LV-223. As I see it, the bio-weapon wasn’t the xeno (or deacon) it was the pathogen itself. There must be plenty of it left for David to pick up? I wonder how they created it? We saw no labs in Prometheus, just the product (the pathogen). As you point out, they might have had eons of time to develop this product, unless LV-223 was a totally different planet 35.000 years ago (perhaps a paradise)? You suggest that LV-223 was a watch-house and that they experimented on humans and other species of earthly life? Like David did (only the engineers had eons of time)? I think that LV-223 might have been a paradise once, maybe in a friendly way seeding planets and evolving humans, animals and plants, but as time went by they became destructive, creating this weapon of mass destruction and ruining LV-223 (into a barren wasteland)? That is interesting that the bio-weapon was the pathogen and not the Alien/Xeno. What if the goo was not the original form but rather the Engineers found that pathogen, developed it to the goo and made the Xeno out of the goo because since the goo was better it was way more chaotic and could easier (in their mind) get out of control while also being deadlier and that the Xeno versions could more easily be controlled, or so they thought. I am not saying that this is the case it is just something that occurred to me. Perhaps the perfect organism is the goo or what the goo is made of and not the Xeno since it can take so many forms and maybe it will be more lethal. This far I have thought about the Xeno as being the perfect organism (like Ash said) what if Ash wasn't aware of the goo but that it is more deadlier (more perfect) than the Xeno? It could be that Ash was wrong. I hope that they will keep the origin of the goo a secret. Maybe my reply seems confusing and not very structured but my point is that we (by being told this by Ash) might have been wrong about the Xeno being the perfect organism, maybe the goo is that in a way or what it is made of since it is deadlier. I don't buy what David says about it either that it is a form of AI since he is full of his thoughts about AI and androids ruling the world. Well, it was with the cargo hold full of urns with pathogen that the engineer on LV-223 tried to set off to Earth to wipe out the human race. It was with this pathogen that David wiped out the engineer civilisation (and all fauna) on Planet 4. So it is clearly a bio-weapon of mass destruction. Or are all the AI in cahoots and keeping secrets from humans? Even Walter or Bishop(Ash obviously)could shield humans 'for their own safety'. MUTHUR "Our probes report nothing of importance on LV223....Seems the Prometheus suffered a catastrophic anti-grav failure...All hands lost"
Weyland Corp "Thank you for the report. Case Closed"
MUTHUR "We have yet to find much of anything from our advanced probes....By the way, how is your golf game?" Weyland Corp "Haven't played much this year! Again, thanks. Please keep us informed if your scans reveal anything of importance"
The Pathogenic Goo and Xeno-DNA are connected, as far as what order and how is another Question all together, thats open up for debate.. Prometheus sent me down a certain path.... which latter when i read Alien Engineers seemed to confirm the path i was taken... But Alien Covenant had changed things a little. I tried to look at the Outpost from the Engineers Point of view, clearly their Navigation Systems appeared to show other Galaxies and so for their Race/Ship the distance between Earth and LV-223 is actually pretty close. If you was a Race of Engineers, who would Seed a World and come back over and over upgrading the Life on this World to attain a certain kind of Life, then surely having a Laboratory/Outpost where you could conduct Evolutionary experiments where you can contain these experiments and only bring back to Earth those you deem have worked and ones that would not effect the other Life created on said World... to me this kind of makes sense. We barely scratched the surface of the Temples on LV-223 those places had many more areas than the Prometheus Crew explored. So it would be interesting to see what was going on behind those closed doors. We get to then see inside the Ship, and see some Engineers in a Room, then they are looking over a Cryo-Pod, we cut to the Cryo-Pod and see a Primate we then Zoom into the Primates Brown Eyes.... then it cuts/zooms out to show Dr Shaws Brown Eyes, and zooms out and now we dont see a Engineer peering at a Primate, we see David peering at Dr Shaw.... then my draft cut to David wondering what Dr Shaw was dreaming... and then we see Dr shaws dream, but David does not see this... we instead go to a Flash Back of Weyland and David when David was first activated, my draft was similar but different and more deeper than the Alien Covenant David and Weyland.. Anyway... what my opening Scene was showing was Engineers returned to take Primates and take them to LV-223 to Evolve them and then place those Evolution's back on Earth and they continued to do this over and over until we got to Humans. As far as return to LV-223 in Alien Awakening? Who knows.. i think its likely we will have to before we get to ALIEN, simply because the end of Alien Covenant and Ridleys comments and Advent Prologue all seem to indicate that David will take the Covenant to its original destination, which would require a additional 7.5 years. I have not read the Prequel Novel and so i have no Time-Frame for when the Covenant Ship left Earth to when it intercepted that Signal that drove them to Planet 4. 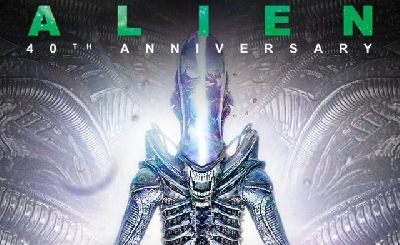 But we do know that they was 7.5 years away from Origae-6, and the Yutani Merger was about 2099 and so the Covenant would have been traveling for no more than 5-6 years, but then we are informed Re-Charges happen every 1.5 years and the Covenant had to perform one, and so the Ship had departed Earth for at least 1.5 years. Considering how long the Prometheus had taken to LV-223 and then the Nostromo, its Safe to Assume the Covenant is much faster than the Prometheus, and so its safe to Assume Origae-6 is further than LV-223 from Earth, how much further depends on what year the Covenant departed Earth. so my point being that in the Time-line David would arrive on Origae-6 in the year 2112 or abouts, this leaves about 10 years before the Nostromo arrives at LV-426 where as of now, Davids Creations must end up on a Engineer ship at some point in those 10 years. Interesting Prometheus 2 draft. Would this mean no evolution at all on Earth, just creation (by the “gods”) or a combination of evolution and creation (intervention)? In the beginning of Prometheus we see the sacrificial engineer seeding the world (Earth?) with its DNA although it seems to have been broken down by the pathogen giving rise to new DNA? Then evolution, starting in the water, begins? The pathogen’s connection to some xeno-like creature is perhaps a bit like the chicken and the egg? Which came first? It took The Prometheus somewhere around 2 years to get to LV-223 but I suppose a juggernaut can fold spacetime or something and get to distant galaxies in the twinkling of an eye? Yes, I suppose LV-223 could be an outpost for evolutionary purposes. It could of course also be for military purposes - creating weapons? Or, it changed over a long time from the former to the latter? It could have changed from a lush planet to a barren wasteland? Or, the engineers chose a barren planet just to store their dangerous pathogen? Anyway, it would be interesting to explore the planet, see what’s in the other temples and other areas of the planet? As for the Alien Covenant: Origins novel, we know that The Covenant set out after the disappearance of The Prometheus and Peter Weyland is considered dead, so I suppose The Covenant must be pretty fast to get to Planet 4 about 10 years after David and Shaw left LV-223 (although we don’t know for sure where Planet 4 is)? Well the idea i was exploring is that while it would be open to debate if the Engineers Seeded all Life on Earth, it was pretty evident from Prometheus to me, that the Sacrificial Scene showed the Engineers DNA being the Catalyst that Kick-started the Evolution of Single Cell Organisms to become Multiple Celled. The opening Scene in Prometheus, the World had Water, it had Oxygen and a Atmosphere, this was either via some kind of Terra-forming... but then we notice the Hills are Green this World had Plant Life, Algae etc which would have produced Oxygen and needed CO2 and thus Basic Life already existed by the time the Engineer had been dropped off. The idea is that Evolution happened on Earth, where Engineers influence had kick-started this, and they came back over and over to look at the Evolving Life, where they would take some Organisms, and take them to LV-223 where they can Safely Experiment and Evolve them so they can Quarantine/Contain their experiments rather than conduct them on Earth and risk unwanted results getting loose and affecting the Planet in ways they dont wish. If you was a Gardener, who had a few patches of Land where you wished to grow various Fruit and Veg, and then you wanted to Manipulate and Hybridize these Fruit/Vegetables to create New versions, it would be more ideal if away from your Patch of Land/Garden you had a Place where you could conduct experiments to Evolve and Create new Versions, keep them in some kind of Nursery/Green House. Conduct tests to see how these New Creations would react and impact the other Species within the confines of a building far away so that contamination does not accidentally happen. When you are pleased with your results, and feel they can be Seeded into the Garden without effecting the other kinds of Fruit/Vegetation you are growing, then you transport your Evolved Creation/Species to the Garden. This is how i interpreted the Engineers Purpose, thus Earth was one of their Gardens, and LV-223 was a near by Greenhouse/Nursery to Evolve and Test and improve on their creations. 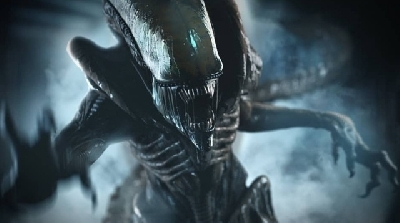 I dont think the Pathogen is connected to a Xenomorph at all, i feel at some point these Engineers or a Faction had came into contact with something they had not created, that infected one of them and lead to a Off-Spring that they had not created... 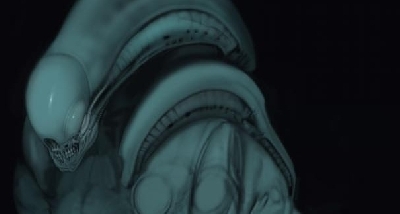 The Results of this... a Ancestor to the Xenomorph was something these Engineers found very interesting... And so they decided to experiment with these Organisms until they achieved the Deacon. They then Sacrificed the Deacon with the Sacrificial Goo and collected the broken down Material and Stored them into those Urns. These beings had grown a dislike to Mankind, but they became fond of the Deacon and favored its DNA as more Pure/Perfect than their own. Thus they saw using the Deacons DNA to Seed/Evolve Worlds as being more greater than using their own DNA. My theory i felt was backed up with AC, because of how those Humanoids did not panic when they saw the Juggernaught, i feel AC showed me that the Engineers had Evolved their means of Sacrificing their DNA, no longer was it a case of using the Tear Drop to drop off a Lone Sacrifice to consume the Sacrificial Goo. They had the Juggernaughts now and a Process to break down their DNA with the Sacrificial Goo and store the results into those Urns. Dropping Urns of Engineer DNA is a more efficient means to Evolve/Seed worlds than sending down a Engineer to consume a subtstance to break down their DNA... Thus those beings on Planet 4 await for the return of a Juggernaught to be Chosen, as being Chosen for them is a Right of Passage, it shows that their Genetic Traits are considered Perfect to be used to Create Life. The Sacrifices are chosen, they are broken down and stored into those Urns and the Chosen Engineers are Immortalized as their DNA will live on in the New Creations on the Worlds they Seed. We know LV-223/426 is 39.7 Light Years away, it took the Prometheus about 2 years, takes the Nostromo 10 Months, the Nostromo being re-fitted with improved Engines in the year 2116, the Prometheus Technology was from 2072. The Big Question is regarding the Speed of the Covenant and the only way we can work that out would be if we know how far away Origae-6 is and when the Covenant departed Earth, which is unknown (but i dont know if the Prequel Novel answers this). If the Covenant is only as fast as the Prometheus, then it means Planet 4 is not very far away as far as being able to be reached by the time of Aliens. The Source i had in Feb-2015 claimed that Paradise was over 600 Light years (but they said it could be over 600 Parsecs so 2000 or so LY) away and located in the Constellation of Ophiuchus, but again until we get a release or information on Paglen/Green Drafts this cant be confirmed. Planet 4 to me does not look like its Paradise either, well not the Engineers Homeworld, unless the Engineers are just a Sub-creation of another Race and Planet 4 is just were these beings are kept and then picked from as Sacrifices from time to time. The sacrificial scene in the beginning of Prometheus must refer to an incident which happened on Earth about 3 billion years ago? But the interesting thing is that the sacrificial engineer’s DNA-string breaks apart because of the pathogen and new life starts from the beginning, perhaps bacteria? I’m not a biologist, but the DNA of bacteria isn’t particularly close to humans, I imagine? So, how come there is a 99% match between humans and engineers (as Shaw finds out)? Pure luck, or evolution on a planet like Earth always leads to humanoids? Even if, as you suggest, they just drop this “refined” variant of Deacon/engineer DNA which breaks down when in contact with a terraformed planet, why the DNA match (99%) with humans? Evolution always leads to that? chli - I thought they have. You usually see one or the other. Usually when cryo sleep is used, they make a point to say how looong of a time it will be before they wake up because of how far they have to travel. When FTL travel is used, they just prime some special drive, the ship just stretches into a vanishing point lol. Indeed it can appear to be awfully confusing.... the DNA match was just Plot Device to show that we came from them.... The Sacrificial Scene however would mean some Evolution happened after this point, and indeed the Story Boards did just this... It showed a Fast Fowards View of Evolution suggesting that the Sacrificial Scene was either the Starting Point (but could not be as the World had Plant Life) or just a Catalyst to kick start basic Life to become more Advanced and then Evolution took place after. It was basically taking the Panspermia Theory where a Ancient Comet or Meteor had collided on Earth Billions of years ago and brought with it, either Basic Building Blocks of Life, or Basic Bacteria and these then Evolved into all the Life we have on Earth. What Prometheus was doing was showing that it was not a Comet/Meteor but the Engineer Sacrificial Scene that provided these Building Blocks. RS after Prometheus came out said the Engineers came back over and over Evolving us Genetically and Technological and so this is showing us he intended to show us that the Engineers must have came back at certain Periods to Genetically alter some Life on Earth, and further Evolve species like our Ancestors until we arrive at Mankind. Its the misunderstanding of the Sacrificial Goo, and how it has been explained now that adds to the confusion, my theory all along, well how i interpreted it was the Sacrificial Goo is just a Tool that would allow a Life-Form to have its DNA broken down and become a Pathogen that carries the Sacrifices DNA with it and infects Life with the Sacrifices DNA.. it is a Gene/Splicing Tool. Few Months after i got this interpretation we saw Spaights Alien Engineers released and his Draft basically shows us how the stuff works... Spaights Draft there was NO GOO, instead we had NANO-SCARABS, and these were in a Sacrificial Cup, that consumed the Engineer Molecule by Molecule, these Scarabs then flew off into the Air... and latter we see a Early Primate get Bitten by one of these Scarabs and the Scarab injects the Engineers DNA into it and the Primate begins to Transform... And its indicated that this Process is what created Mankind.. The Scarabs were a Tool to allow the Engineers DNA to be passed onto a Primate to Create a Engineer/Primate Hybrid and thus our Ancestors. The Urns in Spaights Draft contained Scarabs too, these attack Fifield after he knocks a Urn over, only he does not suffer the same fate as the Sacrificial Engineer (much like Fifield/Worms dont in Prometheus) instead this Fifield is bitten by a Scarab which injects DNA into him and he becomes a Xenomorph Hybrid with Acid Blood... Hence those Scarabs in those Urns must have consumed the DNA of a Xenomorph related Organism. Prometheus was basically the same, just replace Scarab with GOO.... even the Original Altar had the Sacrificial Cup/Bowl and not a Green Cystal, the Mural of the Deacon in a Cruciform Pose (same pose the Sacrificial Engineer in Spaights Draft had taken after being eaten by the Scarabs) This leads me to think the Engineers Sacrificed the Deacon Mural Organism to the Goo to create the substance in the Urns. The Answers had been there in front of out Faces, Reading Alien Engineers helps to make more sense of Prometheus. But post Production if Prometheus FOX etc went around cutting and editing scenes and even introducing us to a Weyland File to explain the Black Goo that contradicted what we saw on screen. Yes, I’ve read Spaihts’ script and I think it would have become a better movie than Prometheus actually became (It was pretty good, though). I think they should have kept the neomorph because that part was really creepy. Instead, they had to force it in - together with a couple of xenos - in AC. The scarab part makes more sense in the perspective of sacrifice since the sacrificed (his DNA) is immortalized. In Prometheus, his DNA is broken apart (“He” is no more). In this engineer culture, The Elders might have fooled the ordinary people that the sacrifice is an honour, and they might eventually have rebelled? Perhaps it is one of these rebels we meet in Prometheus? The notion that RS referred to the Engineers in Prometheus as Fallen Angels is interesting, does he mean these guys are Demons, as in just their Nature of being Malevolent, or are we seeing a alternative interpretation on the Literal Story of the Fallen Angels, which would imply the Engineers was a Race who Served a higher power/Hierarchy but some of them Rebelled. Is current Mankind behaving the way these GODS intended? is the Majority of Mankind Serving and Worshiping these GODS the way they intended? What Reason was we Created, why did GOD/GODS create us and are we performing to the Needs and Requirements that GOD intended for us? We can see this theme explored with David..... Mankind (Creator) created Synthetics for certain reasons, we never created Synthetics so they could Evolve to become Sentient, and then conclude why should they Serve Mankind, what makes us Special to have Authority over them... especially when we are In-superior. Potentially David could lead to our Destruction with the Xenomorph, or David could lead a Rebellion of Synthetics to Overthrow Mankind... Which would prove a great Hubris to Mankind. Well Prometheus seems to maybe imply the above Hubris, is what the Engineers had encountered and the Black Goo was their Failed attempt to Prevent their Wayward Creations from becoming a Threat... it would be like in Hindsight, Weyland not created a AI that evolves to become Sentient. The Interesting thing is that this kind of Hubris of Sub-Creating could stem back even further than the Engineers making them also Creations created for a limited Purpose by their own Creators etc. When i was working on a Prometheus 2, i was drawn more to the Annunaki kind of Tale as far as the Engineers and their Creators.... and i was going to put in a Sinister Twist as to why the Engineers was created, a Twist that HR Gigers Mural for Alien and his Concepts clearly showed. I agree that the themes of creation, subcreation, hubris, rebellion, creation going astray etc. (and perhaps disappointment with the creator?) are central to these movies. When can we enjoy reading your Prometheus 2 script? Do you guys think Ridley has all of this figured out ahead of time? I feel like he makes it up as he goes depending on who is writing the script. Do you think there is a mythos that has been planned out since the beginning or is the idea evolving over time causing the films to seem more and more disjointed and scattered? It appears that way, too many cooks in the Kitchen, a constant changing of the Story, in ways that could contradict what previously had been laid out. To a degree yes, i think it depends how you interpret the Creation Tool that was the Sacrificial Goo, i feel the movie shows us or implies that the Engineer Event is what is literally the Panspermia event, but also that this event did not just take its course until we Naturally Evolved from this Event Eons ago.. But the Engineers would come back and tinker with DNA, indeed come back and wipe the slate clean with Events, so many stages of Evolution are not so Natural Selection, but Desired Selection by the Engineers taking certain Life-Forms and Evolving them, then placing the Results on Earth and watching over the Natural Evolution resulting from their tinkering with the Genetics... then they come back and chose one such Organism and further tinker with it until we have Mankind. If we take Primate for example.. and look at the Sacrificial Goo as being a way to Mix the DNA of one Organism with another to make a Hybrid... so say a WOLF is introduced to the Sacrificial Goo and breaks down into a Pathogen that now has WOLF DNA, if this was to infect a Human we would end up with like a WEREWOLF like Hybrid. 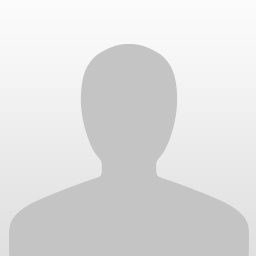 so if we then take a Primate and introduce Engineer DNA, we could get a Hybrid that looks like say this next image we have Primate Stage 1 where Engineer DNA is introduced to Evolve to Stage 2 then Natural Evolution occurs until Stage 3 or 4 then Engineer DNA is introduced again to Evolve to Stage 4/5 and then Naturally Progresses to Modern Man. This is what i read into RS comments about how the Engineers came to Earth over and over to Evolve us Genetically and Technologically, its what clues in Prometheus showed me and the kind of theory i was exploring with my Prometheus 2 daft. As far as events like Great Mass Extinctions then yes i do think RS was going to explore these as Engineer related, he did just prior to AC mention how the Engineers would wipe the slate clean.. The Source i had back in Feb 2015 even suggested those above the Engineers have the Power/Technology to Shape Worlds and bring about Disasters like Floods, Ice Ages and more Disastrous events as ways to wipe the slate clean and that all such Events recorded in Biblical Stories actually happened, just not to Mankind as on Earth. Thus hinting that the Engineers are a previous Generation or their is a previous Generations of Mankind that link us and the Engineers.. The source was very ambiguous and not forthcoming with Direct Answers, but tease a Massive Curve-ball, which as i interpret it seems to point the Engineers as being just previous incarnations of David while those above the Engineers are perhaps previous incarnations of Mankind. The sources information was pretty ambiguous and seemed puzzling way back in early 2015, but there are some very interesting Concepts for AC that could shed some light to what they was suggesting. "When can we enjoy reading your Prometheus 2 script?" Sadly i think never, as i abandoned it and it was more of a Broad Synopsis, with some Scenes i started to evolve into drafts, but i abandoned it mid 2014 because i could just not figure our ONE true way to explore the Engineers Connections, i had a broad idea which branched off into different ways, which conflicted some of what i was going to cover.. i just could not concentrate on a SINGLE aspect as far as what lies beyond the Engineers. I had many ideas but could not come up with one i liked. I feel FOX had the same problem when working on Prometheus 2 due to the Bold Plot. My draft mainly covered interaction and Philosophy behind David and Dr Shaw, touching upon what is Creation and what constitutes a Soul, and a Agenda by Weyland and why he created David. It indeed seemed to be a bit too much Blade Runner in parts than Alien. Touched upon the Merger, which was a Deal struck between the heads of Yutani and Weylands Nephew for control of the company if Yutani Assassinated the Hier to Weyland Company (Miss Vickers, but was a Twist). Thus a Synthetic has no Rights, and the company would then go to Weylands Nephew who in return would lead to a Merger down the line, as Yutani gained all the AI and Synthetic work of Weyland Company and Military and Weylands Nephew would get the Space Projects and Terra-forming. The objective if Operation Rook, would lead to Weylands AI getting loose and reveal it behind the company at latter stages. You can tell that Scott was influenced by Stanley Kubrick’s 2001: A Space Odyssey. There is a higher power intervening in evolution in the form of a black monolith (When the apes learn how to use tools, for example). We also have the A.I. problem where the supercomputer Hal starts to develop emotions and, controlling the ship, becomes a danger to the crew. I hope you will finish the script. It would be very interesting to read. chli, Kubrick's 2001 must have an influence in almost all movies we know as sci-fi. its a masterpiece and asks the questions that probably means the most to humanity. why are we here and where did we come from?. its such an interesting take on his view of those answers and I believe Ridley was definitely going the same route with Prometheus. that to me was his whole intent and yet hes changed that route now which is bitterly disappointing to me. I liked Kubrick's take on how difficult it would be for HAL and the conflict 'he' faced and his inability to deal with mans natural curiosity when things started to go wrong or didn't make sense to them. knowing the true nature of the mission and told under no circumstances to reveal the details to the crew. with no conscience or sense of morality, HAL struggles. so is the difference simply HAL's lack of a soul which stops him from successfully carrying out his duties while interacting with humans? if he had a soul would he have been able to have found a more peaceful solution? Ridley Scott is not young, we are at least 2 movies from ALIEN... if RS makes the next movie which is a set up to be a Alien Prequel something that is actually not a Alien Prequel... i.e does not even cover the Xenomorph or those Embryos... i think its a risk and if this U-Turn again happens and the movie disapoints, i think its curtains for the Franchise... so the Xenomorph and how it eventually ends up on the Derelict has to be covered. Which then means after this has been done and we see how Davids Creation ends up on the Derelict, then we can indeed explore those Space 2001 influenced themes in more detail... and maybe touch upon the Big Picture that RS had in mind.